CAD seems stronger than the weak USD however; USD is getting strength due to the market’s hopes of the Fed rate-hike this year. 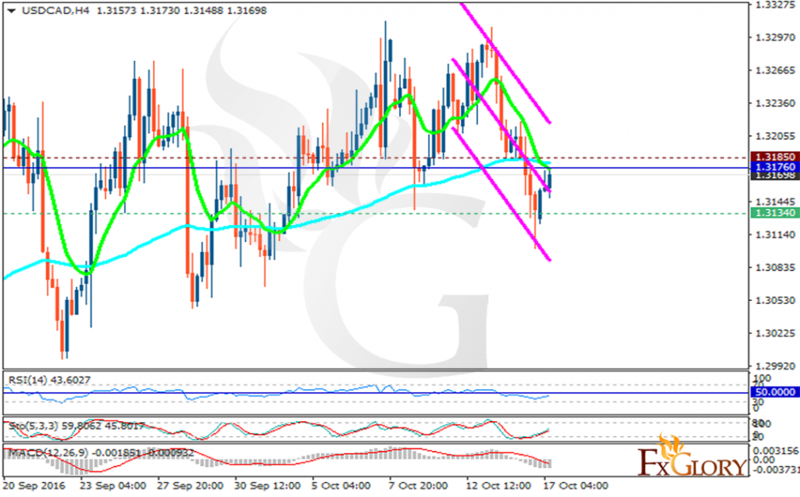 The pair is finding support at 1.31340 with resistance at 1.31850 which the weekly pivot point at 1.31760 is located in between the lines. The EMA of 10 is moving with bearish bias and it is located below the EMA of 100. The RSI is moving below the 50 level, the MACD indicator is in negative territory and the Stochastic is showing upward momentum. The price is moving close to the EMA of 100 and10. There is are not enough signs to see the next target, therefore traders can wait for a better signal.